These General Terms and Conditions cover the sale and delivery of tickets and goods by the Archaeologische Kulturpark Niederoesterreich Betriebsges.m.b.H. Divergent terms on the part of the buyer (also known as “customer” in the following) are only valid when the Archaeologische Kulturpark Niederoesterreich Betriebsges.m.b.H. has given written approval to such differing conditions in advance. By submitting an order the buyer agrees with these General Terms and Conditions and is bound by them. These General Terms and Conditions are available on the homepage of the Archaeologische Kulturpark Niederoesterreich Betriebsges.m.b.H. and can be downloaded if required by the customer. 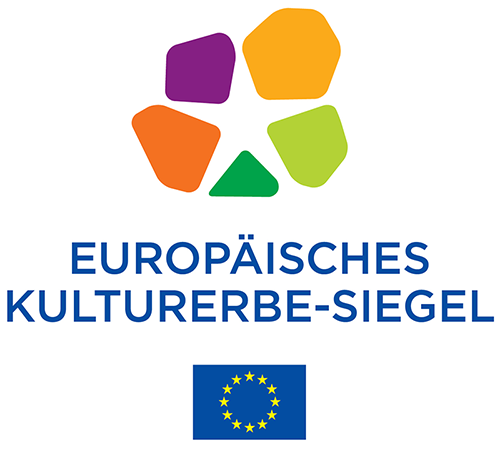 The services offered by the Archaeologische Kulturpark Niederoesterreich Betriebsges.m.b.H. concern leisure activities and these services shall be brought on a specific date or within a specific period of time (leisure-time services). The customer's order is a binding offer that comes into effect under disclosure of all necessary data required by the Archaeologische Kulturpark Niederoesterreich Betriebsges.m.b.H. All customer data received when placing the order shall be treated with confidentiality and not passed on to third parties, unless the data are required to fulfill the contract. The Archaeologische Kulturpark Niederoesterreich Betriebsges.m.b.H. is free to either accept offers for sales of tickets or goods within 14 days after receiving the application, or else to refuse the offer by delivering an appropriate explanation to the customer, in particular in the case of a price increase which has been incurred in the meantime or in the case of possible printing errors in sales brochures, price lists or other documentation. The Archaeologische Kulturpark Niederoesterreich Betriebsges.m.b.H. shall not accept any liability for such price increases or errors. All prices are gross prices, including statutory value added tax, unless otherwise stated. Costs caused by forwarding (postage) will be calculated separately. Printing errors and individual price changes are excepted. Any import duties are to be borne by the customer. Ticket or goods prices are due for immediate payment after conclusion of the contract. Forwarding is for the account and risk of the customer. Costs of delivery are calculated on the basis of the Austrian Post's (Oesterreichische Post AG) current valid scale of charges. If the customer is a company, with first orders advance payment is required before delivery of tickets or goods. The customer is obliged to check the tickets and goods immediately and to lodge a complaint promptly or else lose warranty claims. In general private customers receive tickets and goods after payment in advance. Delivery is effected after payment has been received within 7 working days. a) The Archaeologische Kulturpark Niederoesterreich Betriebsges.m.b.H. accepts the following credit cards: Master Card, American Express, Diners Club, Visa, JCB. It is also possible to pay in cash or with Maestro bank cards. b) Payment by invoice after receipt of postal consignment. c) Payment in advance for private customers and for orders from other European countries. Delivery takes place after payment has been received. Tickets may not be returned unless an event is cancelled. There is no refund for purchased tickets. The right is expressly reserved to change cast and programmes as well as starting times and these are no reason for the return of tickets. The Archaeologische Kulturpark Niederoesterreich Betriebsges.m.b.H. reserves the right to alter cancellation regulations as detailed above. These will be explicitly shown in written confirmation of the offer and/or reservation confirmation. • Minimum charge for 20 participants per tour guide (exception: special programmes for small groups). • Up to 7 days before start of the event: notification of guaranteed minimum number of participants. This will be invoiced in each case. Should the guaranteed minimum number of participants be exceeded, then the actual number of persons will be invoiced. • Any excess of the guaranteed minimum number of participants must be made known at the latest 3 working days before the start of the event in order to ensure appropriate preparation and realisation of the event. Should this information be withheld, then any claims for damages shall be borne by the booking organisation. The booking organisation is liable for all damages and losses to the archaeological sites, the property, staff, guests or visitors of the Archaeologische Kulturpark Niederoesterreich Betriebsges.m.b.H. caused by the culpability of said organisation, its staff or participants in the event. When archaeological sites are rented for external events, then the regulations of the monument protection authority must be complied with. All costs for safety measures are to be borne by the renter. The Archaeologische Kulturpark Niederoesterreich Betriebsges.m.b.H. accepts no liability for items brought in by the organiser. The booking organisation must ensure adequate insurance for any items brought in. The Archaeologische Kulturpark Niederoesterreich Betriebsges.m.b.H. reserves the right to alter prices in the case of a change in dates of more than 90 days. In special cases after successful confirmation of the order by the booking organisation, a deposit of up to 50% of the total sum will be due. Should the conditions for advance payment not be complied with punctually, then the Archaeologische Kulturpark Niederoesterreich Betriebsges.m.b.H. can cancel the booking without giving reasons. Payment shall be made in full upon receipt of invoice without any deduction or discount. All costs connected with the event which have not been agreed shall be invoiced to the booking organisation. Booking organisations that are not at the same time event organiser are jointly and severally liable for fulfilling all agreements as reached. Any additional conversion work on the day of the event which is desired by the booking organisation or its representatives or its clients shall be charged at a flat rate of €100. Should the duration of the event be exceeded and this be caused by the booking organisation or its clients, then a rate of € 25 for each hour or part thereof will be charged for each member of staff of the Archaeologische Kulturpark Niederoesterreich Betriebsges.m.b.H. who are required for the implementation of the event. For all events where the Archaeologische Kulturpark Niederoesterreich Betriebsges.m.b.H. is not the event organiser, the booking organisation or its clients are responsible for punctually obtaining all necessary authorisation and for the payment of all statutory taxes. All costs incurred from the booking as well as any costs for the presence of health & safety and emergency services (as prescribed by law) are to be borne by the booking organisation or its clients. The customer has entitlement to fulfilment only after payment of the price in full. Up to this point the ticket remains in possession of the Archaeologische Kulturpark Niederoesterreich Betriebsges.m.b.H. Delivered goods remain the property of the Archaeologische Kulturpark Niederoesterreich Betriebsges.m.b.H. until the goods and delivery costs have been paid in full. Set-off of claims by the customer against the Archaeologische Kulturpark Niederoesterreich Betriebsges.m.b.H. is not permitted. The customer has entitlement to fulfilment only after showing a valid ticket (ticket with perforation). The customer shall abide by the applicable house regulations. Each valid entrance ticket entitles one person to visit the exhibition indicated and this person must abide by the applicable house regulations. The valid entrance ticket must be shown to supervisory staff upon request. If these house regulations or the conditions set out above are disregarded, then the customer may be expelled from the exhibition without any refund of the entrance fee. For copyright reasons all photos, film and/or sound recordings are prohibited before, during and after the performance without prior special permission if destined for commercial use. Photos and film recordings for private use are permitted. As far as television or film recordings are concerned, the visitor agrees that any recordings (photo, film, video) made by him/her during or in connection with the performance/exhibition may be used for standard purposes without any remuneration. With the purchase of the entrance ticket, the visitor as an accompanying adult is not relieved of the responsibility of supervising a person who is not legally competent, and the visitor is liable for any damages caused by failure to discharge his/her duties. By ordering and using services provided by NOE Kulturszene, in particular by the purchase of entrance tickets, the customer submits to the General Terms and Conditions. As part of the object of the Archaeologische Kulturpark Niederoesterreich Betriebsges.m.b.H., it is necessary that personal data of customers be processed. Should the customer have separately agreed to the revocable use of his/her personal data as part of the joint data base of the “Vertriebsdatenbank der Betriebe der NÖ Kulturwirtschaft” (§ 4 Z 13 iVm 50 DSG 2000), then his/her personal data determined as part of the business relationship with the Archaeologische Kulturpark Niederoesterreich Betriebsges.m.b.H. may be transmitted and used by companies connected with the Archaeologische Kulturpark Niederoesterreich Betriebsges.m.b.H. 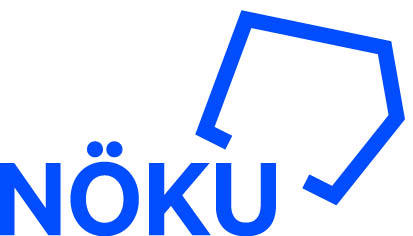 The homepage of NOE Kulturwirtschaft www.noeku.at under “Gesellschaften” gives details of all participating clients in the joint data base “Vertriebsdatenbank der Betriebe der NOE Kulturwirtschaft”. Consent can be withdrawn at any time, whereby cancellation is to be directed to the NOE Kulturwirtschaft GmbH, Neue Herrengasse 10, 3100 St.Poelten, per fax: 02742/908041 or per e-mail: office@noeku.at. We recommend cancellation to be sent to us via e-mail in order to simplify the rapid processing of the notice of revocation. Place of fulfilment is Korneuburg. Without prejudice to specific legislation for consumers, the court in Korneuburg shall be legally responsible for all legal disputes resulting from or in connection with the present contract. Austrian law with the exclusion of international referral norms shall be deemed to be agreed. The conditions of UN sales law shall not apply. Should any of these General Terms and Conditions contradict compulsory legal regulations (such as the conditions of the Austrian Consumer Protection Act), then the remaining terms of these General Terms and Conditions shall nevertheless remain valid. We reserve the right to alter our General Terms and Conditions at any time.